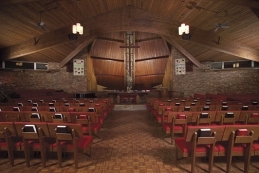 On behalf of the The Congregational Church of Huntington I wish to share our utter shock at the shootings in Christchurch and our fervent prayers and dedication to create a community of love and respect in place of violence and fear. In particular, we hold the Masjid Noor mosque in our prayers as they mourn the loss of their sisters and brothers in faith. The goal of a terrorist is not only to harm his direct victims, but to traumatize the entire community. In this case, he chose a quiet city in a peaceful country in an attempt to inflame religious and racial hatred. He can only succeed if we let him. We mourn for those who were murdered and pray for God’s peace to be upon their family and friends. We denounce the ideology of white supremacy and call upon all decent people to the work for the elimination of such a hate filled doctrine. We reject the siren of fear mongers who would use this tragedy to build greater walls of division and distrust. We dedicate ourselves to the creation of what Martin Luther King Jr. called the Beloved Community. Dr. King’s Beloved Community is a global vision in which all people can share in the wealth of the earth. Racism and all forms of discrimination, bigotry and prejudice will be replaced by an all-inclusive spirit of sisterhood and brotherhood. We stand here today with hope. Hope, God’s hope, is a resilient force that grows in the face of evil. God’s hope, the hope for the beloved community, stands up to all evil and may lead us to resist the terrorist’s aims. As we gather in respect and love we become the beloved community. This is the opposite of the terrorist’s aim. The beloved community is God’s dream for our world. We stand together for this hope. May God bless the families of the victims with peace and strength. May God bless the members of Masjid Noor with hope for a more peaceful future. May God bless us all with the strength to build the beloved community in Huntington and around the world. 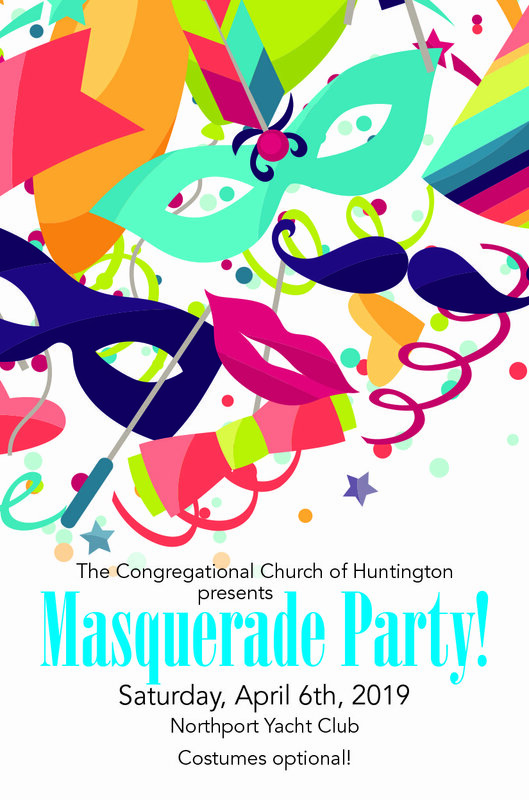 You are invited to the CCH 2019 benefit auction–a Masquerade Party! The dinner and auction will honor Jenny Haluza, recipient of the 2019 Church Service Award. Held at the Northport Yacht Club the event will be on Saturday, April 6, 6:00 PM. 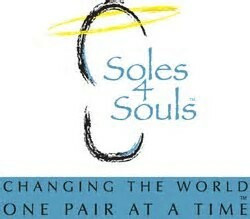 Tickets are $65/person and may be purchased at church or email Bonnie Dawkins or Doug Munch. During March we will once again join with people around the country to collect new and gently used shoes to benefit people in need. Bring any shoes (tied together or wrapped in a rubber band) and put them in the collection box at the church.. and around the world. Our next night to host HIHI is Saturday, March 23, at Our Lady Queen of Martyrs church in Centerport. To listen to Pastor Mark's sermon from this past Sunday, "Hope in the Face of Evil," go to the church website. Humility is an old-sounding word and a concept that is not discussed much in our self-focused society. Pastor Mark will revisit an old virtue to what it means for our lives today. Then join Pastor Mark for a sermon talkback to explore how we may live a life of humility. Faith may be the word that is spoken most in a church. But what is it, really? Pastor takes a look at something we all think we know about. There will also be a sermon talkback after worship. 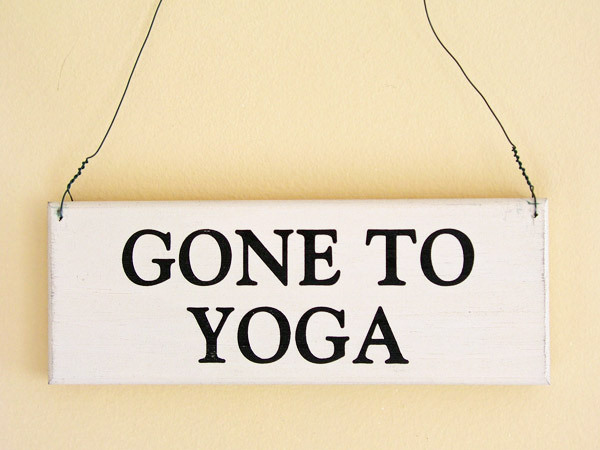 Terence Sheldon has been in our prayers as his recurring foot pain returned. He has gone for a ketamine treatment and we pray for a quick recovery. The March book selection is a fascinating look at the nature of animal consciousness from Carl Safina, a celebrated scientist and professor at Stony Brook University. 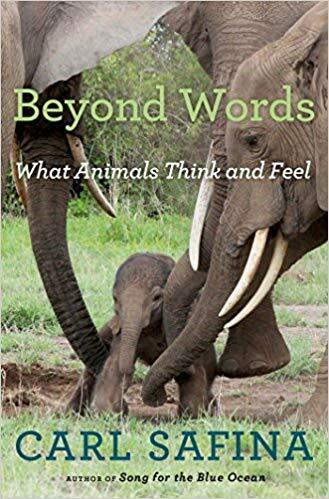 "Beyond Words: What Animals Think and Feel" explores the nature of human behavior and dares to go beyond the usual scientific dogma to explore animal personalities. From the Publisher: Weaving decades of field observations with exciting new discoveries about the brain, Carl Safina's landmark book offers an intimate view of animal behavior to challenge the fixed boundary between humans and nonhuman animals. Beyond Words brings forth powerful and illuminating insight into the unique personalities of animals through extraordinary stories of animal joy, grief, jealousy, anger, and love. The similarity between human and nonhuman consciousness, self-awareness, and empathy calls us to re-evaluate how we interact with animals. Wise, passionate, and eye-opening at every turn, Beyond Words is ultimately a graceful examination of humanity's place in the world. The discussion group will meet on Wednesday, March 27.